These S14 faceted LED bulbs come in an assortment of colors! We carry the following colors: Red (R), Orange (O), Yellow (Y), Blue (B), Green (G), Purple (PU), Cool White (CW), and Sun Warm White (SW). 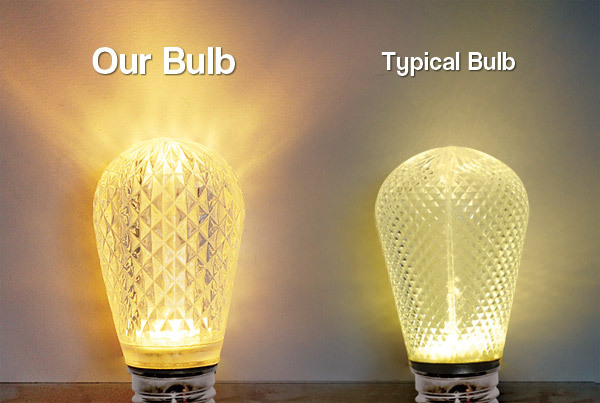 Uses just 1/10th of the energy of a typical 11S14 incandescent bulb. Save over $30,000 by replacing 250 Bulbs running 8 hours a day. Simple replacement – same size socket, same voltage. Ultra durable design with facetted globe produces bright vivid illumination at all viewing angles.